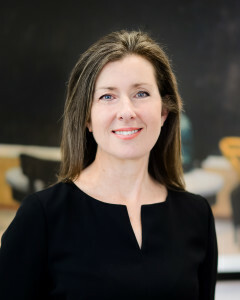 Shauna Colnan has held significant leadership roles in some of Sydney’s leading independent schools. Before taking on the role of Principal at International Grammar School she was Deputy Principal and Head of Senior School at MLC School and before that, Head of Curriculum at Abbotsleigh. In 2016 she became a Graduate of the Australian Institute of Company Directors. She is a dynamic leader and a pioneer of innovation in education. She has worked at the NSW Board of Studies (now NESA) and at the national project unit, a strategic team within the Board that shaped the NSW response to the emerging national curriculum. Ms Colnan continues to carry on the vision of founding Principal Reg St Leon, to construct a school based on bilingual immersion, diversity and acceptance. “Reg St Leon was a true pioneer in education – he believed that the best way to teach a language was to use the language to teach curriculum,” Ms Colnan said. ”He also believed in the ‘one school’ concept where a student could begin studying a language from an early age and continue through to matriculation. 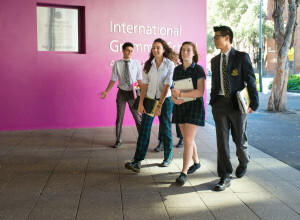 “And this is where we find ourselves at IGS today – every Primary student is still taught in a second language for 80 minutes a day and the School boasts choice of six languages – Chinese, French, German, Italian, Japanese and Spanish – as they continue into High School. “I believe that the teacher’s role is to honour and nurture childhood while drawing out the innate gifts of the child. “Students are taken on an educational journey that empowers them to explore their gifts, find their voices and become their best selves as they move with growing confidence and independence towards adulthood”. “I am particularly thrilled with the success of the SAGE program. 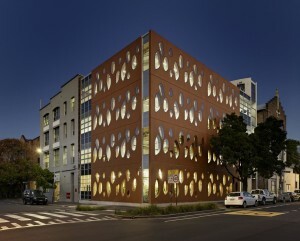 Over the course of four years, our students spend a week each year engaged in a Shakespeare Boot Camp in Year 7, an archaeological quest in The Rocks in Year 8, an opera project in Year 9 where they conceive, write and perform four operas, and in the most ambitious project of all – Tasmania – Writing the Island in Year 10 – where we take the whole year group to Tasmania to engage in a writing project while they trek through the pure and pristine landscape of the island. “The positive feedback from students, parents and teachers has been overwhelming,” Ms Colnan said. Ms Colnan is also passionate about creating flexible new learning spaces for the students of IGS. 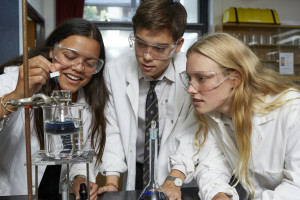 As a result, the school has a new Peace Garden, a Senior Art studio, refurbished science laboratories, a Year 12 Study Centre and is about to open a new Design Centre.